Whether it is for the purposes of business valuation or other analysis of complicated data, an accountant can play an important role in identifying problems and establishing new protocol going forward. The forensic accountant will usually combine fiscal and legal skills in determining the presence of a crime or/and identifying those factors that should be considered in a business valuation. This role is increasingly more valuable since economic difficulties in 2008 have caused many businesses to analyze their activities much more closely in light of potential fraud. Since 2008, there have been key changes in crime and the way that the FBI and other government authorities pursue fraud. The FBI, for example, created positions in this field within their own department and currently 15% of staff are specialists working on issues such valuation of companies and calculation of damages. Playing the role of forensic accountant can be a critical one as it will impact many individuals whether in a business valuation or a fraud sense. Perception is a key issue that forensic accountants face. Although many clients could see forensics as just another accountant, there is a large difference in skillset between ensuring compliance to traditional practices and reconstructing the suspicious. Complexity and time management are also key issues for today's forensic accountants. Records tend to be immense even when they are organized digitally, and activity can extend across multiple jurisdictions. The timing of using a forensic accountant could also demand rapid and intense actions that constrain relationships with existing clients. If you are in the process of valuing a business or attempting to determine something that requires analysis of a lot of data, a forensic accountant may be just the person you need. 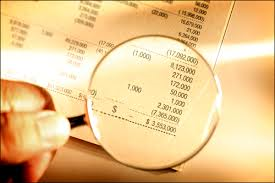 One of the most common times to bring in a forensic accountant is when a business needs valued. During a divorce, both parties may be highly interested in the valuation of a business because it can have a significant impact on the division of property. This is why it's imperative to have someone who has worked on business valuations before. With so much at stake, it requires the accounting and investigative skills of someone who knows how to dig into complex data and present a clear result. Not taking this seriously could lead to an incorrect valuation, which has many unfortunate impacts. Make sure you've fully vetted the forensic accountant you plan to hire before signing on the dotted line.